For the New GOO Pet Parent, the “Starter” Choice for Fighting Itchy Canine Enviro Allergies. 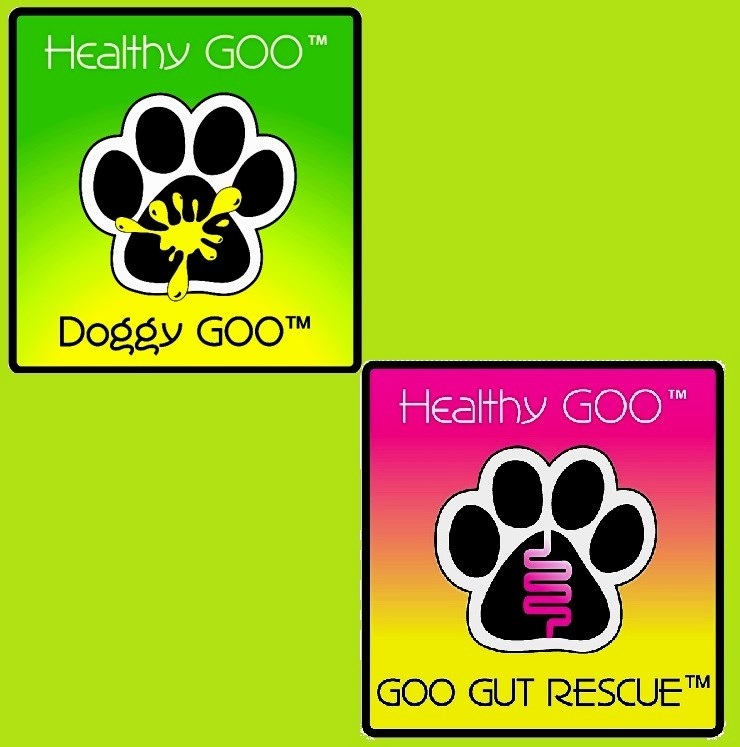 Qty 1 Doggy GOO will begin building “Internal” Immune Tolerance to Major Enviro allergy Sources. 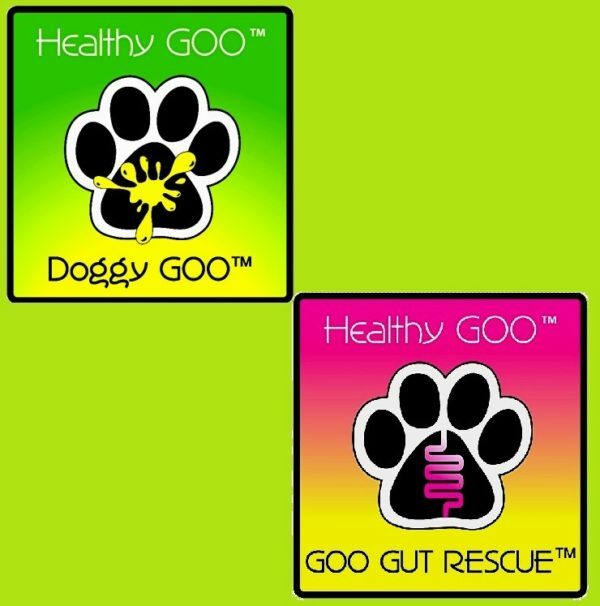 Qty 1 GOO Gut Rescue will “Rescue” Your Animal’s GUT-Biome from Bad Bug Dominance. Or, ensure that your Animal’s GUT-Biome has a Healthy / Functional Foundation upon which Doggy GOO’s Allergy Fighting Action can take place. Because the Daily Amount of the STRESSed Phase of Doggy GOO’s Protocol is Weight Dependent, per the Below Table, completion of this 90 Day STRESSed Phase will Require Qty 1 – 4 Ctn of Doggy GOO. 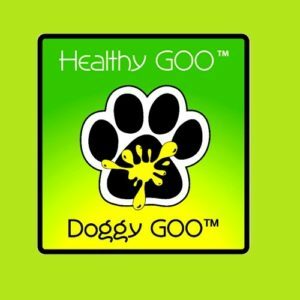 Fully recognizing that Doggy GOO in not a “Casual $ Purchase” and Pet Parents would like some “Proof” of Action , it is Advised that Pet Parents ( at the very least ) initially purchase enough Doggy GOO to take their Animal thru 30-45 Days. Then, based on Pet Parent FeedBack, given this Duration, the Pet Parent should be “SEE’ing” appreciable “External” Skin & Coat Improvement, with some mitigation of Major Allergy Symptoms, which Indicate that the “Internal” Immune System Re-Calibration of the Doggy GOO Process has Begun. Then, given this “Visible” Progress, the Pet Parent will have the Confidence to Purchase more Doggy GOO 🙂 and complete the STRESSed Phase. Then once the Animal’s Allergy Status has been GOO Suppressed, Pet Parents are suggested to Purchase enough Doggy GOO to take the Animal into the WELL Phase of the Protocol for an additional 30-45 Days. While it is Recommended that the WELL Phase be continued Indefinitely, if the Pet Parent wishes, Doggy GOO can be DisContinued. “BUT” because Allergy is really never “Cured”, only “Internal” Tolerance Build to Suppress “External” Symptoms, the Pet Parent Must be on Allergy Alert to the First Signs of Possible Allergy Re-Emergence. After-which, it will be necessary to Resume Doggy GOO once again until the Animal’s Health Status is Back to previous Doggy GOO / Healthy Status. 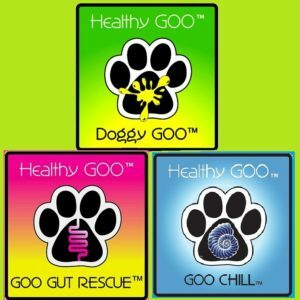 GOO Combo #1 – Doggy GOO – Qty 1 Jar Plus GOO Gut Rescue – Qty 1 Jar. 90 TeaSpoon / Ctn. See Daily Usage / Feeding Label for your Animal.